My recent visit to Cahuenga Elementary School in Los Angeles gave me a glimpse of what California’s future could be if we seize the opportunity to expand the teaching of world languages. At Cahuenga, beginning in kindergarten, many students learn Korean or Spanish along with English, while learning about Korean and Latin culture through music, dance, theater and literature. These dual-language immersion programs, like 400 others in California public schools, put students on the path to fluency in two or more languages. Numerous studies show that fluency in another language boosts students’ mental flexibility and enhances their ability to learn all subjects, including their native language. Bilingual students have to switch back and forth between languages, which helps them develop strong attention control and skills that help them academically and socially. They often understand language structures better than their single-language peers, giving them a potential advantage in reading and writing. Learning a foreign language introduces students to new cultures, giving them a broad perspective that helps prepare them for the global economy. Bilingual students are in high demand and generally earn slightly higher salaries once they enter the workforce. 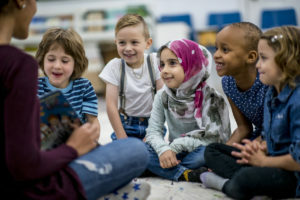 This exciting research inspired me to launch Global California 2030, which seeks to double the number of world language classes taught in California schools, more than double the number of bilingual teachers authorized each year and more than triple the number of graduating high school students who receive a state seal of biliteracy on their diplomas. Perhaps most importantly, it seeks to quadruple the number of dual language immersion programs to 1,600 by 2030. 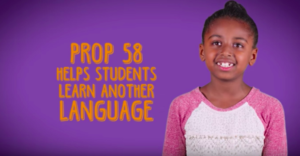 In 2016, California voters overwhelmingly approved Proposition 58 and removed outdated barriers to setting up dual immersion programs, signaling clearly that they want more such programs. Yet these programs are so scarce, parents sometimes have to win a lottery to enroll their child. That needs to change. Every parent should have the opportunity to let their child learn a second language at an early age. That’s why I support Assembly Bill 2514, which is currently pending in the Legislature. 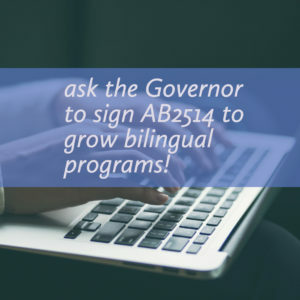 This bill, introduced by Assemblyman Tony Thurmond, D-Richmond, provides 10 grants of $300,000 to local districts to help them set up dual-language immersion programs, developmental bilingual programs for English learners, or early learning dual language programs. I am urging educators, parents and community leaders to join my efforts to pass this legislation and to enact the broader goals of Global California 2030. Fluency in two languages helps our students succeed academically, socially and economically, while strengthening the rich mixture of heritages and languages that help California stay a global economic and cultural leader. Tom Torlakson is state Superintendent of Public Instruction. He can be contacted at ttorlakson@cde.ca.gov. We are very glad to announce that we have issued the 3rd edition of our Seal of Biliteracy Information and Implementation Booklet. We hope you find this updated booklet helpful when planning to adopt and implement the Seal of Biliteracy and pathway awards. You can download the booklet by clicking here. Physical copies are available for purchase in our store. 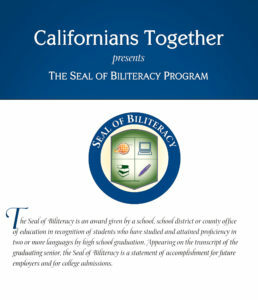 We also want to share this video that LAUSD prepared which highlights their Seal of Biliteracy graduates.